Maximize productivity while offering industry leading performance and efficiency. Powerful trends in IT – like virtualization, cloud computing and mobile access – drive essential new technologies in enterprise IT. 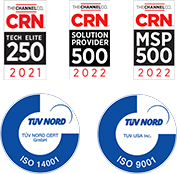 Integrating them with your legacy capabilities can create a complex environment of systems, standards and patchwork resources for you to manage. 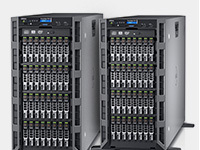 Dell's next-generation servers and shared infrastructure solutions help you achieve your IT imperatives with consistent architectures and the latest technologies. Whether you're adding one server, or multiple racks – or moving to the cloud – the Dell server portfolio offers innovative IT efficiencies and cost savings. Consult with a Zones expert to learn how Dell server innovation can help modernize your data center. 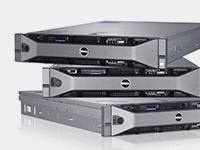 Contact your Zones account manager or call 800.408.9663 to learn more about Dell server solutions. 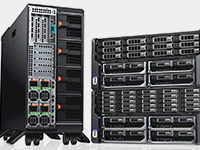 Dell PowerEdge rack servers deliver the performance, efficiency, and versatility you need to scale smarter, manage more efficiently, and innovate faster. Enhance your virtualization environments, accelerate applications and step up high-performance computing capabilities in your IT environment. Next-generation PowerEdge tower servers deliver value for any scale – from small offices / home offices that need to get organized and become more productive, to enterprises and large organizations that require peak performance and huge internal storage capacities. Dell PowerEdge M Blade servers optimized for memory density and outstanding performance with no compromise on enterprise-class features. Dell's optimal blend of performance, efficiency, and scalability is perfect for taxing workloads that range from general-purpose applications to IT as a service (XaaS). 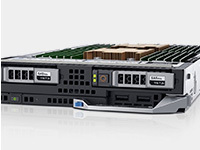 To address the challenges introduced by the latest computing trends, the Dell PowerEdge FX converged architecture is designed to give enterprises the flexibility to tailor the IT infrastructure to specific workloads – and the ability to scale and adapt that infrastructure as needs change over time.